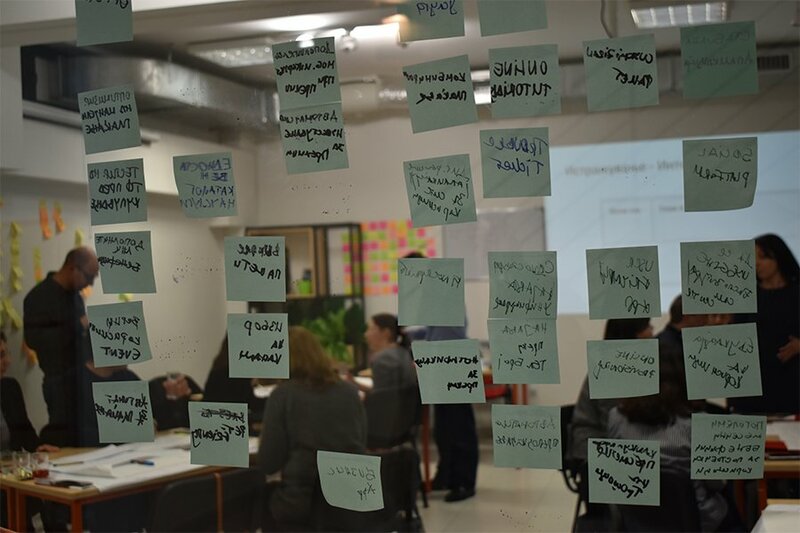 Innothink is the first innovative programme in Macedonia that has a goal to promote the design thinking approach to companies and individuals. Design thinking is a user- centered, human oriented approach to innovation that allows us to identify the key needs of each user or person, to rapidly create and test prototypes, and to bring new innovative solutions that will fit the identified needs. 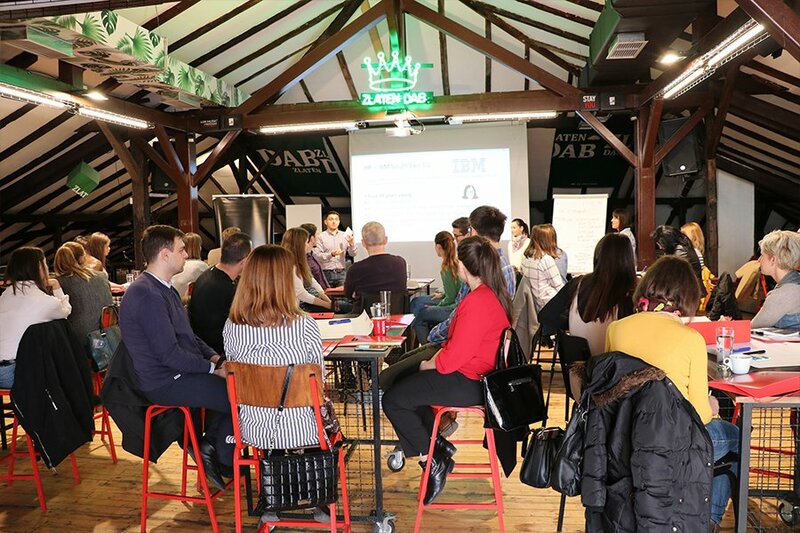 As it is getting extremely popular in the companies around the world, and giant companies like IBM, Apple, Coca Cola and many others already have implemented it in their businesses, we decided that it is the right time to start promoting the design thinking approach to the macedonian companies. Depending on the requirements of the client, the workshops can last up to 8 hours and include instructive exercises and structured tools and techniques that help the teams to develop creative thinking, team spirit, and innovative problem- solving. 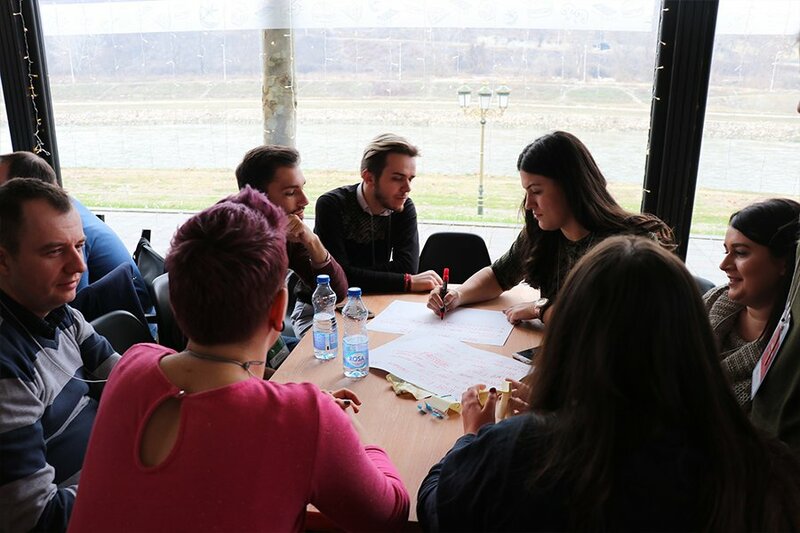 We organized the workshop titled Innovation Strategy for Businesses: Enhance Your Company’s Innovation Capabilities as part of Skopje Design Week 2018, the international festival of design and innovation. The goal was to raise awareness about the first programme that transforms the way we work and to spread interest to the Macedonian companies for this creative approach. The workshop engaged 40+ participants (project leads, marketing executives, HR specialists, product managers, software engineers, etc.) that learnt about design thinking and how to apply it in their company. We created a customized 2-day training for 25 participants, employees in one of the biggest telecommunications companies in Macedonia. The training was focused on improving the teamwork among the employees from different sectors, their communication and productivity. Therefore, we created several topics obtaining the main categories within the company in order to provide better knowledge and insights about the diversity of work each employee has. Guided by the Innothink mentors, the teams through design thinking activities had one main task to create a product/service combining their expertise and skills to improve the customers’ experience. At the end of the workshop, the teams created six prototypes of innovative products and services and succeeded in improving their communication and work efficiency. Upon request of Alite International, we organized a two- hour design thinking workshop where 90+ participants were facilitated through structured activities. The activities boost team spirit and improve collaboration and communication in the team.